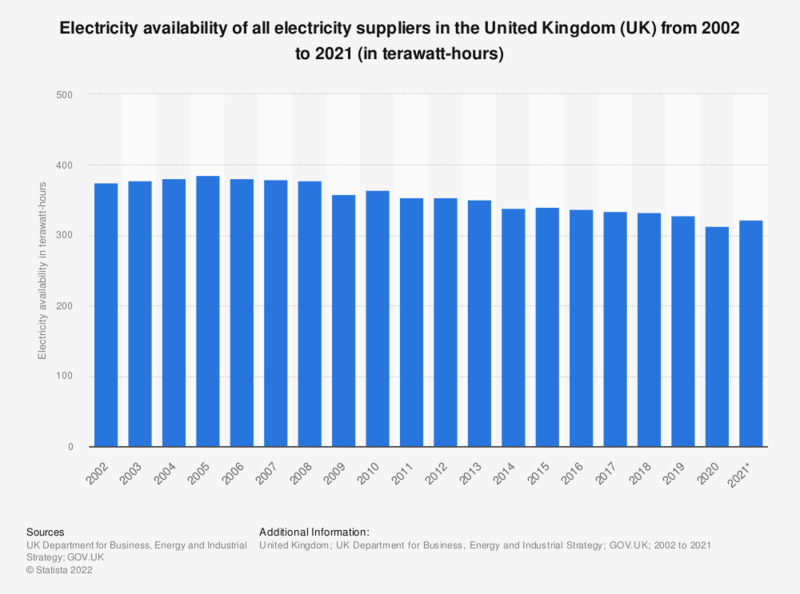 This statistic displays the electricity availability of all electricity suppliers in the United Kingdom (UK) from 2002 to 2017, in terawatt-hours. Availability dropped somewhat in 2009 to 358.17 terawatt-hours, compared to 378.21 terawatt-hours the year before. In 2017, electricity availability from all UK suppliers amounted to 334.06 terawatt-hours. Everything On "Consumer experience of the energy market in the United Kingdom (UK)" in One Document: Edited and Divided into Handy Chapters. Including Detailed References. Statistics on "Electricity production in the United Kingdom (UK)"
What type of energy supplier, if any, provides you with your gas and electricity?